At the end of this month, Mr. Sergio Maffettone will conclude his tenure as Consul General of Italy in Chongqing. 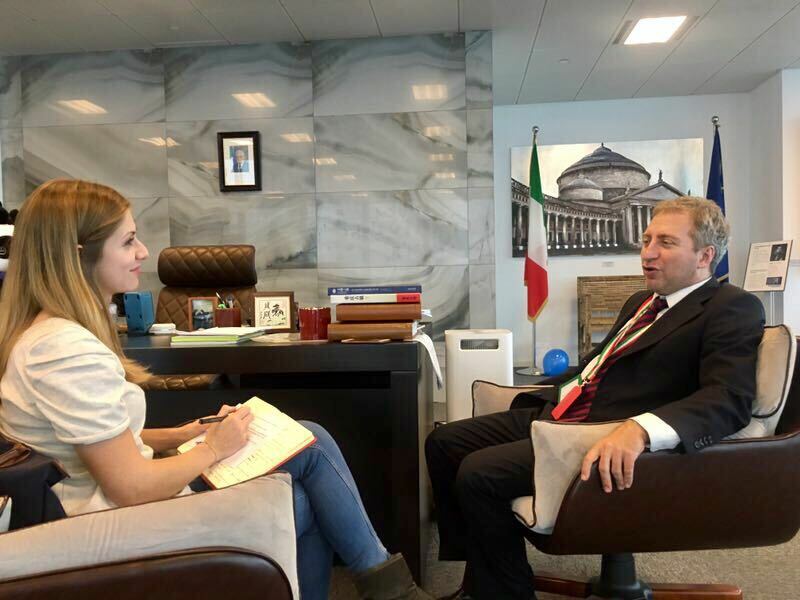 Mr. Maffettone has spent the last four years implementing the cooperation and the exchanges between Italy and Chongqing. For this reason, we decided to share his experience and thoughts on his life in one of China’s most frenetic cities: Chongqing. Dear Consul, it is a real honour to interview you. Before starting, could you tell us something about the journey that brought you here in Chongqing? I was born and raised in Naples. During my graduate studies I was in Germany with the Erasmus project and this first experience abroad made me realise that my path was leading to the international career. 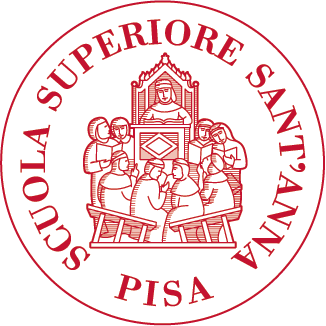 After graduating in Law in 1997, I took a Master in International Diplomacy at SIOI – Italian Society for International Organisations, which helped me to kick-start the diplomatic career. I first arrived in China in 2011 to work as Head of the Press Office of the Italian Embassy in Beijing. In December 2013, I took the position as Consul General of Italy in Chongqing. Before moving to China I worked for the Ministry of Foreign Affairs and International Cooperation in the development cooperation sector, in the commercial office of the Italian Embassy in Tirana, and in Afghanistan as policy advisor. What were the reasons that led to the opening of the Consulate in Chongqing? It was a decision of the Italian Government, pushed by policies of austerity and spending review, Italy decided to invest in South-West China, one of the fastest-growing region in the country. Since two important investors such as FIAT and Iveco were already doing business with the Municipality of Chongqing, and after the successful economic mission of 200 Italian entrepreneurs in 2010 in Chongqing, the government picked this city as the location for the new Consulate General. What are the most productive sectors and opportunities for Italian entrepreneurs who are planning to do business in Southwest China? Chongqing, historically an industrial and manufacturing city, is famous within the country for its machinery, pharmaceutical and petrochemical sectors, as well as automotive industry. In 2016, Chongqing became the first Chinese national production pole with over 3 million cars produced per year and consolidated its leadership as world’s first producer and also for the sale of motorcycles. Recently, Chongqing also stood out for the hi-tech industry becoming the world’s leading laptop and iPad manufacturer. Compared with other areas in China where foreign companies have settled for several decades, this area is quite uncontaminated. Italian companies, in addition to the aforementioned sectors, could explore the field of environmental protection, which is a booming economic reality throughout China. Another promising sector for our companies willing to do business with China is the agribusiness. Food safety, in particular, is a major concern for the Chinese government and Italy has indeed enormous expertise on this. Last but not least, as can be noted from the skyline of the city, there are also great opportunities in the field of architecture. What about the major challenges in doing business in Chongqing? Besides the language barrier, which is quite easy to overcome, a deep knowledge of the Chinese market and an on-site representative in charge of supporting the investor and facilitating bureaucratic and logistic issues are essential elements to start business in China. Our mission is to welcome and support Italian entrepreneurs to stay in Chongqing. Chinese business environment changes constantly and Chongqing is no exception to this. Perseverance, multiple missions and a clear strategy are essential elements for the success of the business in the long run. Chongqing, especially after the opening of a new free trade zone, represents an exciting and fast-developing opportunity for our entrepreneurs. What are the results achieved by the Consulate in the last four years? We opened three new visa centres – respectively in Chongqing, Chengdu and Kunming – therefore facilitating the procedures for our Chinese friends and businessmen to travel to our country. Furthermore, we helped the Italian Chamber of Commerce to open a new office in Chongqing, its fifth in China. In 2015, thanks to the “China Italy Innovation and Cooperation Week” forum, attended by the former Minister of Education and Research, Stefania Giannini, we helped many Italian companies to discover the manufacturing, scientific and technological opportunities offered by the Municipality of Chongqing. In the same year, a direct flight between Rome and Chongqing was inaugurated, expanding the exchanges between our two countries. In February 2017, we had the honour of receiving the state visit from the President of the Italian Republic Sergio Mattarella, who widely relaunched the Sino-Italian relations by signing different agreements in the fields of University, Science, Innovation and Space cooperation. 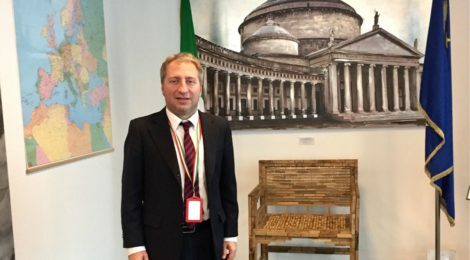 The Consulate is also deeply involved in the organization of cultural activities such as the “Italian Language Week in the World”, the “Emotions of an Italian Autumn,” which this year reached its 4th edition, the “Italian Food Week,” and the promotion of Italian language, in line with the directives issued by the Italian Ministry of Foreign Affairs. In addition, as a Consulate, we give great importance to the academic cooperation, believing that collaborations are more durable between two countries if there is an emotional bond created between the people and the country where they went to study or work or to do research. Did you notice some changes in the Italian community in Chongqing over time? In the beginning the Italian community in Chongqing was very little, but there was already the Galileo Galilei Italian Institute that, as the first institution in the city, led the way to the promotion of cultural activities in the area. Thanks to the hard work of the Italian Consulate, as major hub for Italian businesses in the region, the situation has dramatically improved. The Italian community in Chongqing has constantly increased. There are more and more companies interested in starting their business here, and even more students whom decided to enrich their curricula with an international experience. The Italian community has become self-conscious about the potential of Chongqing and it is expected to grow exponentially in the upcoming years. Could you tell us a positive and a negative aspect of Chongqing? Chongqing is a dynamic, rich and exciting reality where to live and doing business. A downside is certainly the foggy weather, which for Italians, used to the sun, is actually a bit tough. However, this “sadness” is more than compensated by the verve and vitality of the city that lives day and night. It is a unique metropolis that never sleeps. I see Chongqing as a fast speed train which is incessantly forging ahead, especially in the entrepreneurial, infrastructure and real estate sectors. For now, it is still a land of great potential and great opportunities that should be caught with greater entrepreneurial spirit by our companies before it is too late. What will you miss the most of Chongqing? I will definitely miss its skyline and its spirit of innovation. Italy is committed to heritage protection and perseveration of its artistic, cultural, archaeological and historic past. But it lacks of the capacity to modernise. The protection of our heritage creates barriers for foreign companies willing to invest in real estate sector. It makes me angry to see the same investors spend their money elsewhere. In my opinion, the compromise between the preservation of our heritage and the modernisation of the country is the path to follow. Thank you for sharing your experience with us and we wish you our best for the future! ← 19th National Congress of the Communist Party of China has begun: What to expect?